Have you heard of the savant who learned to speak Icelandic in only one week? Well, most polyglots—people who speak several languages—start speaking new languages quickly thanks to their previous experiences. In fact, the aforementioned polyglot and translator Daniel Tammet claims that he already spoke nine languages before learning Icelandic. You should not expect to master a foreign language in just a few days or weeks if you don’t have previous experience learning other languages. This is especially true if you can’t devote ample time to learning a new language. You might stumble upon many “how to learn a language in 7 days” guides on the internet, but the time you’ll spend learning to speak a language can still be relative and dependant on a lot of factors. In this detailed blog post, I approach learning a new language fast by demonstrating proven, realistic steps that any beginner can follow. I also made certain that all the resources I listed are both easily accessible and affordable, so you won’t need to invest too much money into your learning. 1. Connect with language partners online. One of the most common (and cheapest) language-learning life hacks is simply building a learning relationship with native speakers of your target language, perhaps one who is also interested in learning your mother tongue. 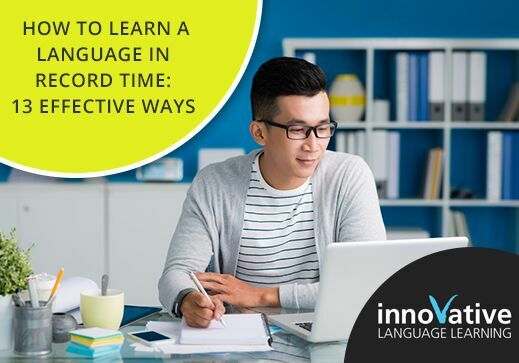 This method can make learning a new language more enjoyable, as it breathes life into your chosen language and shows you the practical side of it—unlike in textbooks and at language schools. Personally, I have met language partners from over 30 nations and have had the chance to discover their countries, cultures, day-to-day lives and many other things that helped me dive deeper into the languages I’m learning. To get you started, I recommend using apps such as HelloTalk, Speaky and HelloPal to have free access to thousands of language partners from all over the world. 2. Travel to a country where your target language is spoken. In his best-selling book, Fluent in 3 Months: Tips and Techniques to Help You Learn Any Language, Benny Lewis shares a simple language learning system that is mainly focused on traveling abroad. He advises interacting with locals in only their native language to force your brain to learn new vocabulary and get familiarized with the language you’re learning. If you use this learning method, Lewis promises you a vast improvement in your language speaking and listening skills. 3. Work on your pronunciation. A few years ago, I had an English as a Second Language (ESL) teacher who knew English very well, but his ability was masked by his lack of clarity. He never taught a single class without getting bullied for his ridiculous English pronunciation, and all his students learned little to no English during the entire school year. Well, if you don’t pay attention to how you pronounce words in the language you are learning, you will probably fall into the same trap. You will not be able to communicate properly and you will eventually lose motivation if you take the wrong direction from the beginning. A great way to correctly pronounce words in your chosen language is to use a voice dictionary. This will allow you to listen to automatic audio pronunciations of all the new expressions you learn. For this, you can use apps or websites like Google Translate or dict.cc. You can also ask locals in the area you are travelling in to teach you the right pronunciation, or you can get your online language partner to record a voice memo. 4. Carry a dictionary on the go. Wanting to save some time and get help with language barriers more easily? Use a dictionary… app, since it would be difficult to carry around a 1,000-page book and browse through it every time you have a conversation with a native speaker. Not only will a dictionary help you become successful in your chosen language, but it will also lift the vocabulary weight right off your shoulders. You will start to contextualize every word you use and train your brain to use it in real-life situations. To download a dictionary, simply open the App Store on your iOS or Google Play on your Android, and search both your native and target languages to find the dictionaries that will best fit you. To get the most out of your language-learning dictionary searches, I highly recommend using a spaced repetition algorithm program. The Spaced Repetition Algorithm is scientifically proven to be more effective than traditional memorization methods. According to research published in Psychology Today, using spaced repetition to learn new vocabulary words increases your ability to remember information in the long-term. Most learners who use spaced repetition prefer Anki, a free, multi-featured software that allows you to create more advanced flashcards including images, texts, audio clips, and videos. To get started with spaced repetition, start by adding words you’ve searched for in your dictionary, then upload audio clips of their pronunciations and attach photos to ease memorizing new expressions for your brain. 6. Listen to audio clips in your chosen language. Listening is scientifically proven to be the best way to learn a language regardless of your preferred method or tool. In fact, studies have shown that being aurally exposed to any language, even if you don’t understand what’s being said, can “make a huge difference” as it helps your brain adapt to new pronunciations and grammar structures. Good news! Take the leap and create a free account to access a wealth of over 750 million lessons in more than 34 languages with Innovative Language. 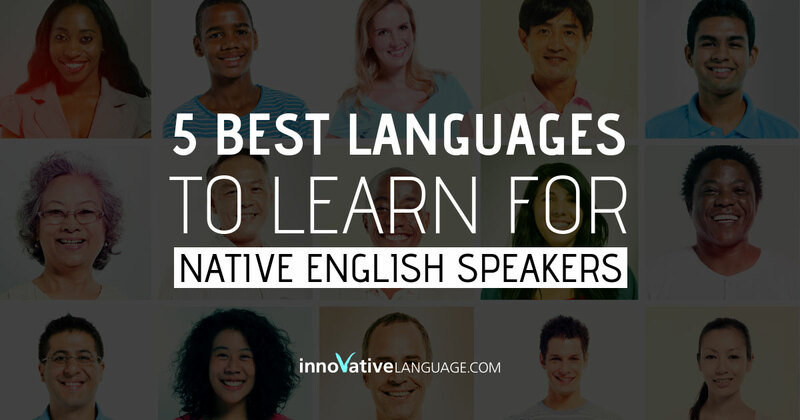 Innovative Language is THE place for language audio and video lessons. There you’ll find clips recorded by native-speaking language teachers, along with flashcards, grammar explanations, cultural insights and much more. With Innovative Language, you will never have to spend hours searching through foreign language audiobooks on the internet. Sign up now, you’ll be glad you did! 7. Learn the alphabet of the language you are learning. If you aim to learn a non-Latin alphabet language, learning the alphabet is crucial. In fact, in Asian languages such as Arabic, Chinese and Persian, mastering the alphabet or characters is necessary to read and pronounce words correctly. For example, in Modern Standard Arabic, you must learn the alphabet, diacritics and dotting to be able to pronounce and read expressions correctly. Additionally, learning the alphabet will enable you to read original texts in your chosen language, which can push you to acquire new vocabulary and improve your language skills. 8. Study grammar, but only when necessary. Grammar is arguably what makes most people quit learning a language before really even starting. Most of us have studied at least one language at school, yet we are still unable to speak them. Why? Because academic systems are not built to teach you fluency, they are built to teach you grammar. Taking into account the poor results schools produce from teaching grammar, it seems wiser to focus on the practical side of languages: real-life conversations. Learning the necessary grammar will then come progressively. For example, you can keep a daily journal using the foreign vocabulary words you learned throughout the day, then ask your tutor to correct your writing and spot the grammar rules you missed. 9. Take private language lessons online. Worried about losing motivation while learning a foreign language? 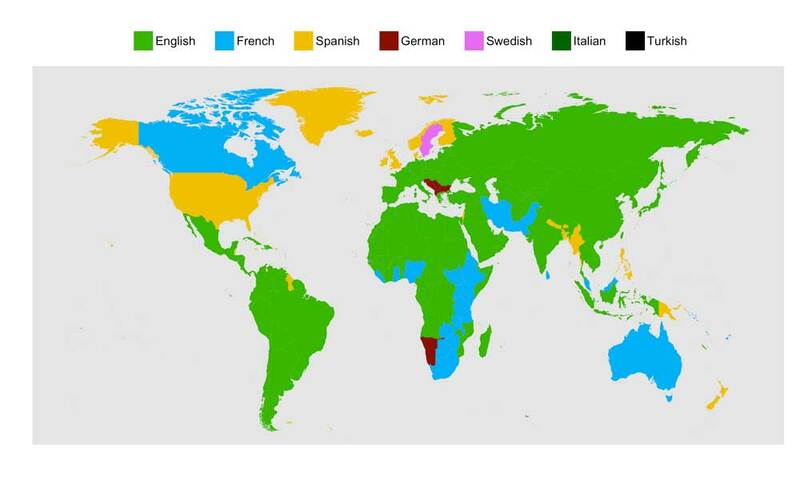 If you answered “yes,” booking online language lessons is a must. Let’s be honest: private language lessons are the only way someone will be truly disappointed when you do not finish your assignment. Your private tutor is focused on you and your language education, and not juggling at least a dozen students in multiple classes. Without that central focus, you might not learn your target language as fast as you can. Not sure where to find online language tutors? You can use platforms such as Innovative Language (Premium PLUS My Teacher), italki, Verbling and Tandem to sort through a gold mine of experienced language teachers from all over the world. Unlike speaking, writing forces you to evaluate your language level and bring grammar rules and structure into focus. 10. Keep a foreign language journal. What will make today great? What things am I grateful for today? Personally, I write essays in my journal about random topics to use the words I translated and learned throughout the day. This helps me stick new expressions into my brain and improve my communication, writing and language skills. If you’d like to write your journal online, I highly recommend using ColorNote, Evernote or Google Keep. Alternatively, you can use ordinary, physical notebooks and diaries. 11. Change your language settings on your devices. According to a recent Nielsen Company audience report published by CNN, adults in the United States spent 10 hours and 39 minutes each day staring at screens during the first quarter of 2016. To make the most out of the time you devote to mobiles and laptops, a great idea is to switch your language settings to the language you’re learning. At the beginning, you might need to translate a substantial amount of words into your native language to move on with almost everything you do, but since most of us know where certain apps and settings are located, you will slowly but surely start to memorize new vocabulary words. Note: Before you change your devices’ languages, try to learn the necessary alphabet or characters to read it first. 12. Expand your vocabulary with mnemonics. Among all the techniques we have covered, mnemonics might be the most effective when it comes to memorizing new vocabulary words. Mnemonics is basically building a system in your brain that links previously learned information in any language you speak with the new information you want to remember. Especially for learning a new language, they can be used as cheat codes for those who struggle to memorize information they’re exposed to. You can use mnemonics to memorize sentences, vocabulary lists, idioms and other words. Vocab list: Divide, multiply, subtract, compare and bring down. Mnemonic: Does McDonald’s Sell CheeseBurgers? Sentence: National Aeronautics and Space Administration. If you cannot come up with a mnemonic yourself, a resource I highly recommend is Memrise. There you’ll have access to a wealth of creative mnemonic photos and expressions that will boost your motivation and make learning enjoyable. 13. Stop worrying about making mistakes. One of the biggest errors that can significantly slow you down is worrying about making mistakes. To break this barrier, you might consider telling your language partners and teachers that you are open to any feedback or corrections on your grammar structure and pronunciation. From my personal experience, asking my language partners to correct my mistakes has helped me learn hundreds of grammar rules, pronunciations and vocabulary words. Now that you are all set to start your language journey, add some fuel to that fire and start applying these strategies to your educational process. Take action now by listening to podcasts and audio clips to put your mind at ease about learning your foreign language.